From Star Trek to Star Wars, from Dune to Foundation, science fiction has a rich history of exploring the idea of vast intergalactic societies, and the challenges facing those living in or trying to manage such societies. 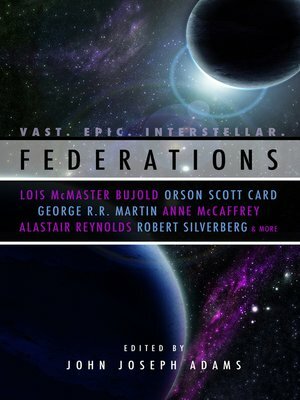 The stories in Federations will continue that tradition, and herein you will find a mix of all-new, original fiction, alongside selected reprints from authors whose work exemplifies what interstellar SF is capable of, including Lois McMaster Bujold, Orson Scott Card, Anne McCaffrey, George R.R. Martin, L.E. Modesitt, Jr., Alastair Reynolds, Robert J. Sawyer, Robert Silverberg and Harry Turtledove.